This package is unique because here we also create a video related to your website, content and keywords. 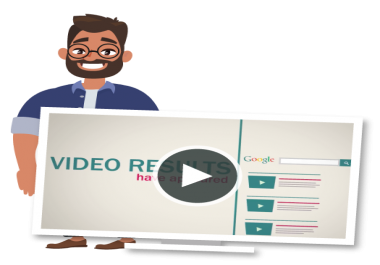 Plus, you will get a HIGH AUTHORITY backlink (PR9-PR7 video sharing networks are used) in the video description. 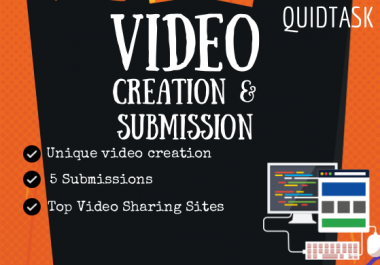 We also provide a submission for the video on the top 3 social video sharing sites. Once the video is submitted, we will include it in the final report of our work and also offer additional promotion for it. 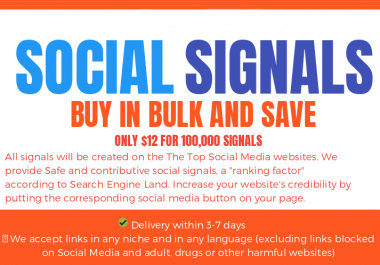 It will bring organic visitors from video sharing websites and stay up permanently. We have been on SEOClerks since 2012, more than 5 years offering affordable services that will help you achieve your dreams and rocket your business.